Google bugs stories and the shiny pixelbook. Peace upon you hunters, hope y'all doing good, My gift from google security team has landed today, Here I am sharing the bugs that got it for me, along the past year (2017) which also ranked me at 7 onto google HOF, anyway, there is nothing special about them, but folks wanted to see them. i was rediscovering the app,I usually do that with google VRP, they push updates and new designs from time to time, and I had just noticed this url https://www.google.com/adsense/new/u/pub-444/home?host-callback-url=domain.com loading, nobody would have missed it, 100 percent of hunters would try their bullet in host-callback-url paramter, so did I, and got the XSS fired . one day i was checking my phone (android device),seen that they wanted to push an update which was the google assistant with her lovely voice lol, after the the assistant installed I ran burpsuite up and start looking around the app and i was lucky that there were too much things to play with. II: victim login to try to give the authirzation to google and click accept after log in to his nest account. 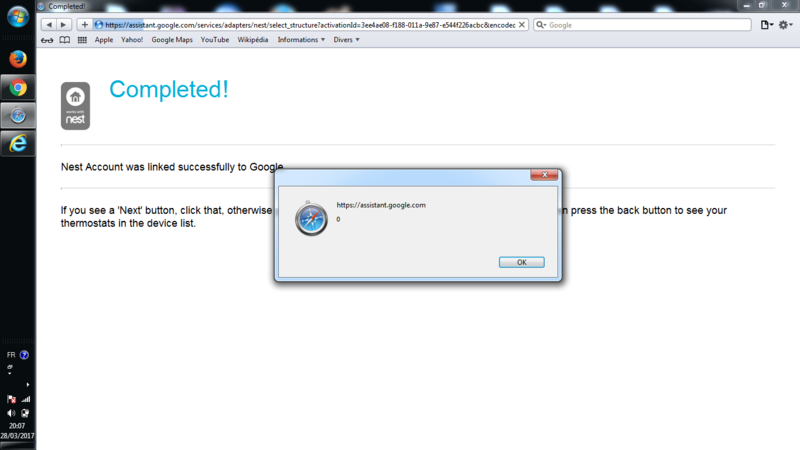 III: google authorization app was not checking the redirecting hence the victim's access token was leaking in referer. anyway, this XSS wasnt rewarded because it works only on older browsers but leaking the nest access token was, sometimes having google products/devices gives you advantges. if you used to share reviews, photos, about the places in google maps then you are familiar with google Local Guides product, at some certain level, google will offer you to create a meetup, creating the meetup with angularjs exprestion in name of the meetup was stored and exectued back. contribute whenever you can with google. this one was also related to google Local Guides but diffrent root, like every hunter, I have multiple google accounts, at one point, I was trying to access a url from account with creating meetup privilege with account without that privilege and then something interesting show up on screen. a url with paramter and value, i didnt use to see, espcially when you are familiar with google vrp. the value was reflected back nacked , i mean without sanitizing special characters. so the vulnerable url was something like : google.com/maps/apis/authen?par=XSS-goes-here. I forgot to take any screenshots or record the POC, and deleted the report email. beside my account in google local guide has blocked by a google staff. lesson learn here is, always check apps,links,features with low preveillge account espcilally with Google VRP, you got no idea what'll show up. google earthengine is a planetary-scale platform for Earth science data & analysis, decided to take a look, felt it vulnerable and my perspective was correct, when it comes to data, the appalication should be having something like uploading or downloading data, examining the appliaction revealed feature to add data layer from Fusion Table. i would mention here that this feature was available in some accounts and was not in some accounts, honestly till now i dont know why! uploading the data, showed that the table name stored and without sanitazing but wait, the response was appliaction/json , checking the http headers also showed there was neither x-frame-options	nor x-content-type-options, as some of you learn that i am telling the perfect conditions to get an xss on IE 11 by forcing the content-type to be text/html . @cure53berlin's resaerch shows a trick how to do that. their research is a treasure i highly recommend reading it carefully. csrf to store the XSS in victim account. i could XSS the victim account, sometimes bugs are looking for ya .